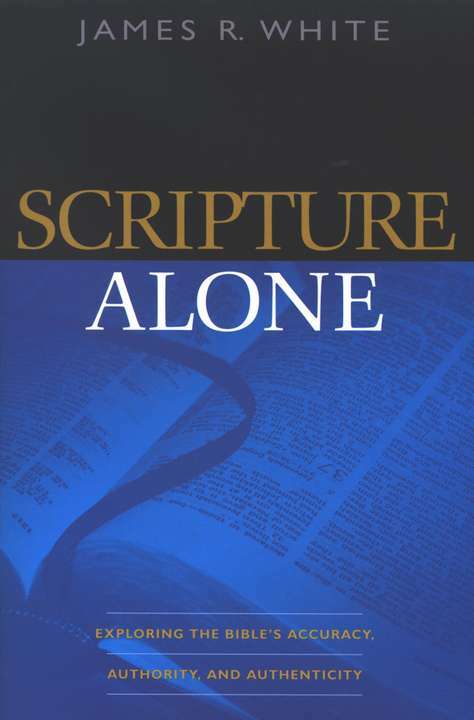 Book Review: James White's "Scripture Alone"
I don't think I'm over-exaggerating when I say this book is excellent---I'll tell you why. I'm a grad student trying to balance full-time seminary courses, full-time work, and the ministries of which I'm a part (to say nothing of a social life). When I read a book, I want to know the bottom line, I want to know it fully, I want it to be applicable, and I want to avoid having to sift through hundreds of pages to get through it. James White met my challenge. He not only wrote a book that's understandable to anyone with a high-school level vocabulary, but he made it down-to-earth and exciting even! Half the book is written in a conversational style (So hypothetical examples---though drawn from hundreds of real world situations Dr. White has engaged in---of a Christian conversing with different sects of "Christianity" that deny sola scriptura). So while you're reading, essentially a story, you're learning how to defend your faith. My confidence in the cannon has been boosted through this experience. It's only 224 pages---for a theology book that's short trust me. Every Christian, especially the apologist, needs to order this!